The Feel-Good Gift Guide was originally published during the 2017 holiday season, but these impactful items are great for any occasion. Naughty or nice? That isn’t just a dilemma for Jolly Ol’ St. Nick — it also applies to the philanthropically-minded shopper on the hunt for gifts that keep on giving. With some help from DoneGood and other experts, we put together a list of presents for the loved ones in your life that can truly make a difference. No guilty purchases here. 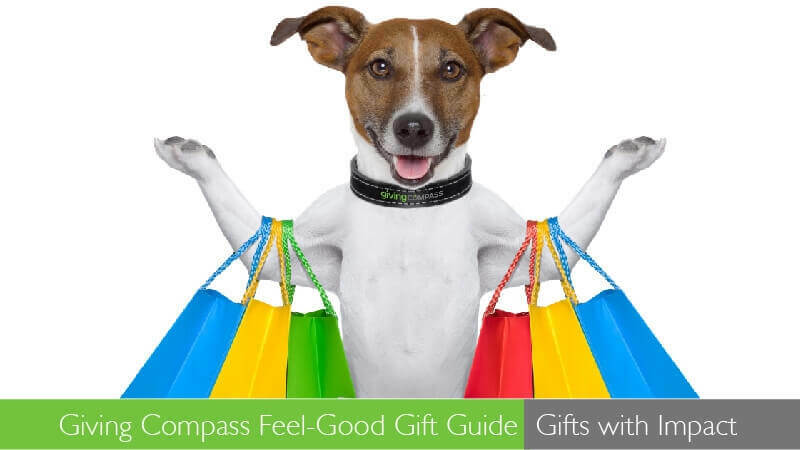 Spread as much joy as you can this holiday season, and let Giving Compass be your guide. This sharp-looking shirt is made by a Certified B Corporation, which works with suppliers who support fair labor practices. 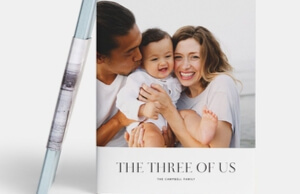 Tuckerman & Co say the shirt’s material (organic cotton from Israel) prevents a pound of pesticides from being used compared to conventional cotton. Keep those landfills empty! The average clothing and apparel factory throws out 60,000 pounds of pre-consumer textiles every single week. 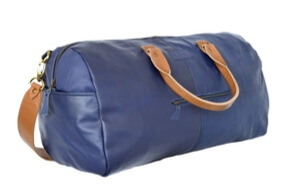 This company wants to be part of the solution, using upcycled material (this bag was made from the leather of old Southwest Airlines seats) for sustainable products with lifetime guarantees. Each pair of Conscious Step water-themed socks sold provides 18 months of safe water for one person in the developing world, thanks to a partnership with Water.org. 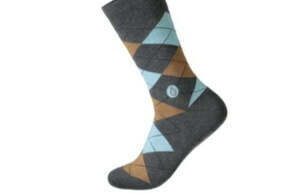 And who doesn’t love argyle? 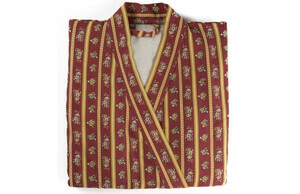 An Austin-based company handcrafts each robe at a shop in Los Angeles; the small batches are made by craftsman paid a good living wage in excellent working conditions. 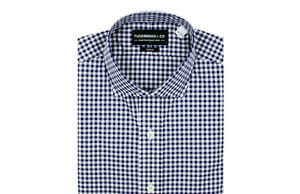 So relax, sit back, and enjoy the feel of environmentally-friendly cotton-flannel. Made from recycled fabrics (including old bottles and Eucalyptus pulp grown on PEFC-certified, sustainably run farms), these functional and stylish hoodies were made by founders who believe in ethical manufacturing, creating well-paying jobs at their L.A. factory. 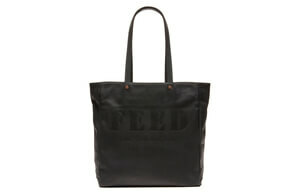 This handy tote made from vegetable-tanned leather is handmade by artisans in Kenya. Not only does each purchase support the talented makers, but the money also provides 185 school meals to Kenyan children. Partners include United Nation World Food Programme, UNICEF and Feeding America. 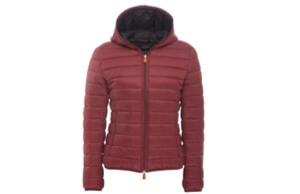 This will give you warm, fuzzy feelings: Save the Duck’s products are 100 percent animal free, without feathers, leather, hide or fur (this jacket is made of a special water-and-wind-resistant nylon). The company was honored by PETA Deutschland with a Vegan Fashion Award, and continues to make an “animal cruelty-free world” its ultimate mission. We swear we’re not biased because of the name! 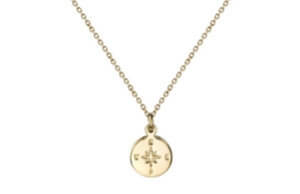 This elegant necklace (available in gold vermeil or sterling silver) goes with everything and was handmade in Cambodia by a fair trade local artisan to empower women all over the world. Proceeds benefit the fight to end human trafficking. 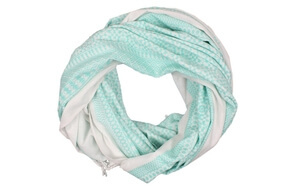 This particular one-of-a-kind scarf — made of a lightweight cotton — was made in India through fair trade sources. It’s all about economic independence and dignified working opportunities for craftswomen in impoverished countries. What’s more precious than art? Encouraging youth. 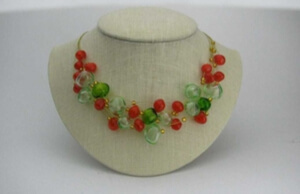 This necklace is an example of the unique gifts available at GlassRoots, a Newark, NJ-based nonprofit workshop which helps at-risk adolescents and teens find confidence in creation through glassmaking. 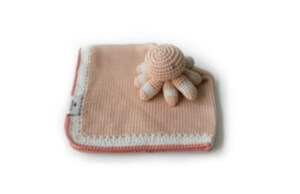 And each dollar spent on these handcrafted products helps the organization achieve its mission. 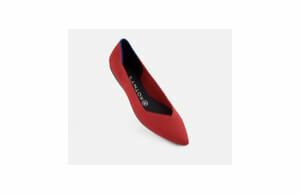 Not only are these shoes flat-out fashionable and versatile, they’re good for the environment too. Each one is handmade from recycled water bottles and recyclable closed cell foam, with a carbon-free rubber sole: low waste, low impact, 100 percent vegan, for all occasions. 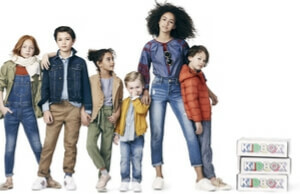 Curated apparel for kids ages 2-14 (or babies, 0-24 months) are handpicked by stylists to match your child’s preference. And for every full Kidbox purchased, a new clothing item will be given to a child in need through a charity of your choice (via a partnership with Delivering Good). Consider this: Of the more than 46 million Americans living in poverty, 16.4 million are between 2 and 12 years old. 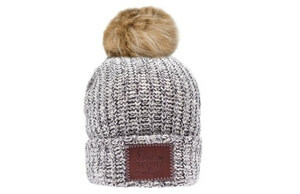 Not only will your kid feel cozy in one of these beanies, but you’ll also love this: Love Your Melon has given away more than 120,000 hats to children battling cancer, and 50 percent of the profits (calculated after taxes and fees) go to nonprofits working in the field of pediatric oncology (including Cure Search and St. Jude’s). 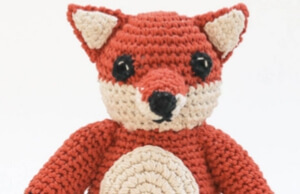 Finely crafted in Uganda, these toys are hand-signed by the women who made them — and each artisan has a profile on the Krochet Kids site. There’s a clear commitment to having an impact among fair trade workers. The retailer’s primary partner is Capable, a group dedicated to providing education, mentorship and financial services for people living in poverty. Adorable. Lovable. Sustainable. Each one of these crocheted comfort blankets was made by an artisan mom in Haiti, who earned twice the minimum wage for her work. In a country where one in ten kids live in orphanages because many parents can’t afford to take care of them, that money is crucial in keeping families together. In fact, every Haiti Babi job creates six additional employment opportunities. That should help everyone sleep more soundly. Memories can last a lifetime, especially if they’re captured in one of these tasteful albums, which uses 100 percent recycled fibers for the interior pages and editorial cover designs. Picture perfect. This organization’s mission is to empower women around the world and help small businesses. 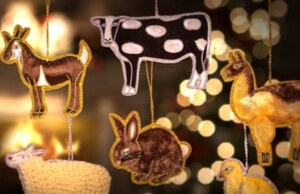 These animal ornaments were hand-stitched by members of a self-help group in Agra, India — they receive a living wage, along with access to clean water, medical insurance and a savings plan. One Earth Designs, a nonprofit that got its start by providing solar stoves to rural nomads and farmers in the Himalayas, wants to find more efficient ways to meet all our future energy needs. 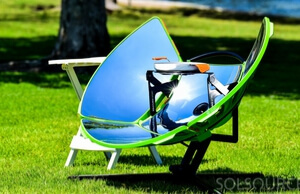 This handy portable cooking device heats up food five times faster than coal simply by harnessing the power of the sun. Backyard BBQs will never be the same again. Want to plan a family vacation to a bat conservation in Australia? Or how about an elephant rescue mission in Thailand? While some of the trips will run into the thousands cost-wise, the adventure in service of a worthwhile cause will be priceless. Why do these socks rock? 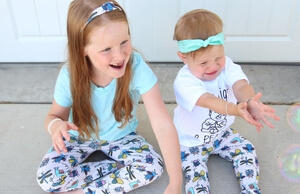 Not only are they crazy fun and colorful, but they were inspired by a young man with Down Syndrome named John, who has dedicated himself to helping others with special needs. 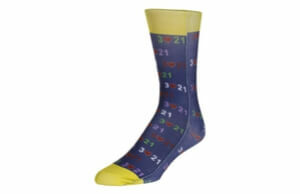 Plus, $2 from each sale of these “Awareness Socks” goes to the National Down Syndrome Society and ACDS. Warms both toes and hearts. Feelin’ lucky? Well, with these “scratch-off” tickets, everyone’s a winner. 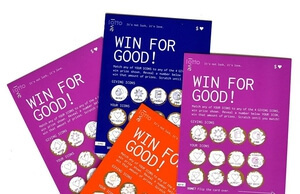 Once you buy a card, a donation is made to one of LottoLove’s nonprofit partners: WaterIsLife, LitWorld, Rise Against Hunger and Solar Aid (each scratch match will align with the mission for those organizations). Flip the card to learn more about the donation. Every penny counts! 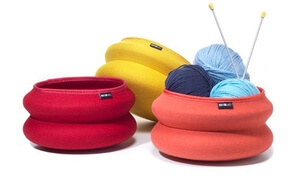 Colorful and handy, these Wobowl SoftBowls (designed by MIO) are made out of 100 percent molded wool by one of the last millineries in the United States. Sustainable materials; ethical design; useful all year round. charity: water has funded more than 24,000 clean water projects for 7 million people around the world, with help from partners such as Nepal Water for Health, Clear Cambodia and Splash. 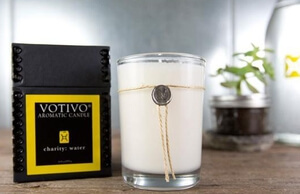 One-hundred percent of the profits from the candle (with a scent inspired by clean water) goes to the support staff and operating costs of the organization. 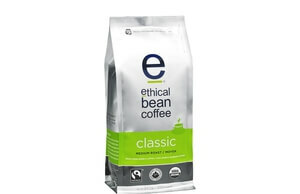 Ethical Bean Coffee takes environmental protections as seriously as a good cup of Joe. 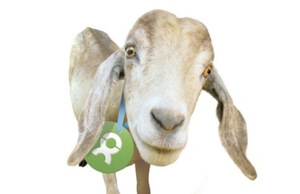 The Certified B Corporation supports fair trade organizations, has a head office built to LEED standards, measures its carbon footprint through Climate Smart and uses roasters that cut emissions and energy consumption by 80 percent. How’s that for a pick-me-up? 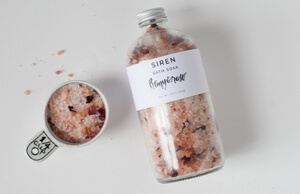 You may feel relaxed just looking at these bath salts. They are handcrafted from an independent, female-owned business in Colorado that uses fair trade, organic shea butter to make its soap (no nitro musk or phthalates). Online retailer 48 and Sea is dedicated to supporting women-focused enterprises, so be sure to shop around for some other apothecary inspirations. 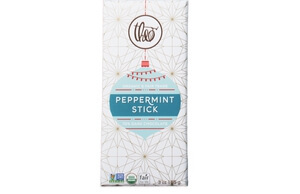 Taste the goodness of peppermint stick, nutcracker brittle, gingerbread, and cranberry orange chocolate. Each purchase of an organic, Fair Trade-certified chocolate bar from this Seattle-based company directly supports the livelihoods of more than 5,500 cocoa farmers in places such as Peru and Eastern Congo, allowing them to feed their families, send their kids to school and invest in their communities. The light from these gorgeously handcrafted candle holders will sustain you throughout the winter and beyond! 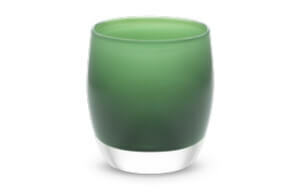 Made in hot shops by local artisans, the votives are meant to comfort and heal. Founder Lee Rhodes is a cancer survivor, and the company has donated millions to various cancer charities, the Humane Society and Conservation International. How many of us have read multiple reports and articles that encourage foundations to provide more unrestricted and multiyear grants? And how often are we reminded that the shift away from restricted project grants has made minimal progress? I’d like to make a friendly proposal to address this. What if foundation presidents, trustees, and program officers each selected one grantee whose work they care about…and asked to shadow the CEO of that organization for one full day? I recall a dozen years ago meeting a smart, thoughtful gentleman who wanted to use his career experience with starting, growing, and investing in successful for-profit businesses to help nonprofits scale up and achieve greater impact. He spent the next year working closely with a dozen or so organizations and found himself describing with a bit of shock and awe the work of nonprofit CEOs as “black diamond management.” What is a “black diamond?” At the time I learned it was a ski reference. Here’s a helpful definition I found recently from a blog post on Outdoor Tech: Black Diamonds: What They Mean: These runs will have steep gradients exceeding 40 percent and are considered difficult. Black Diamonds: What They Really Mean: These runs are where you can get a little peace and quiet, except for the screaming. They are either very steep, full of bumps, or both. You don’t have to be an expert to ski these but that would help, along with a lot of confidence. Alcohol helps, too. The smart, thoughtful investor went on to say that managing a nonprofit is in many ways much harder than managing a Fortune 500 company. I may be exaggerating — it was 12 years ago — but the basic idea holds value. I posit that if every foundation president, trustee, and program officer spent one day shadowing a grantee CEO they would witness “black diamond” management firsthand. And maybe it would help them reconsider their foundations’ grantmaking processes and the types of grants they are willing to offer. This might not lead to a wholesale revolution of multiyear general operating support for all, but I have to believe it’s worth trying — and I have confidence that some real good for the field could come from it. I hope it won’t necessitate alcohol consumption, though… For maximum benefit, I’d suggest that grantee CEOs be asked to conduct a shadow day as they would any other, with no special red-carpet activities. Read the full article about shadow a grantee CEO day by Rodney Christopher at The Center for Effective Philanthropy. 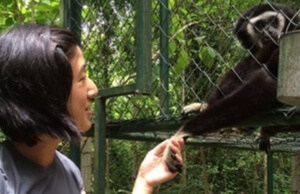 A good way to complement your interest in Conservation is to connect with others. Check out these events, galas, conferences or volunteering opportunities related to Conservation. If you are ready to take action and invest in causes for Conservation, check out these Giving Funds, Charitable Organizations and Projects related to Conservation.